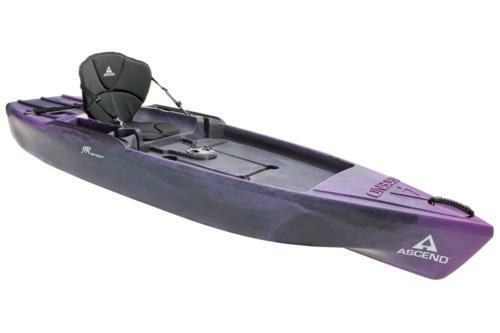 With the 9’ 10” (3.00 m) sit-in D10 kayak, ASCEND® designers set out to create a boat that would be the best in every aspect to exceed recreational paddlers’ expectations. 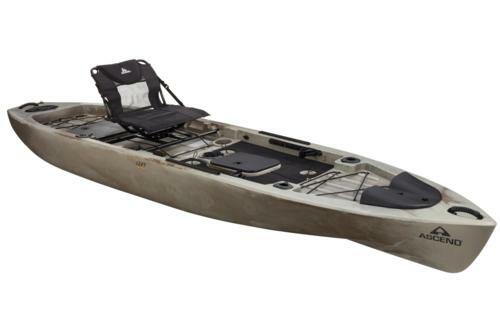 Featuring the ASCEND®-exclusive rotomolded performance hull design and extra-large cockpit, the FS10 sit-in kayak delivers a unique mix of extreme maneuverability, functionality and comfort for paddlers of all skill levels. 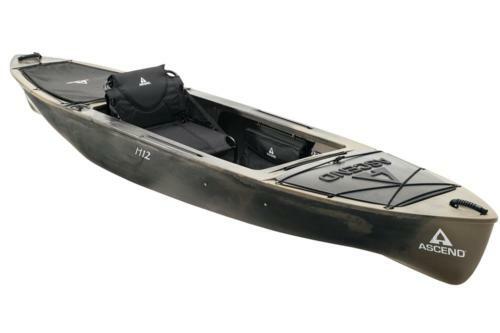 The all-new H10 kayak puts all the great features boaters love about the H12 into a nimble, easy-to-carry 10' package. 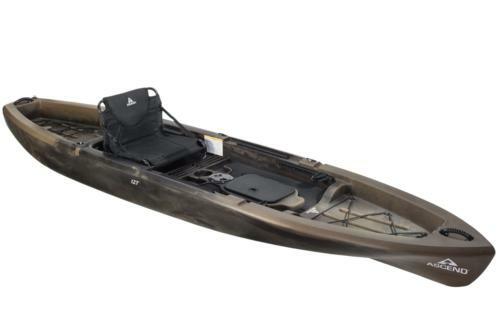 The ASCEND® H12 sit-in hybrid kayak delivers a unique blend of performance, storage capabilities and rigging options, resulting in versatile watercraft that’s perfect for fishing, overnight expeditions and day trips. 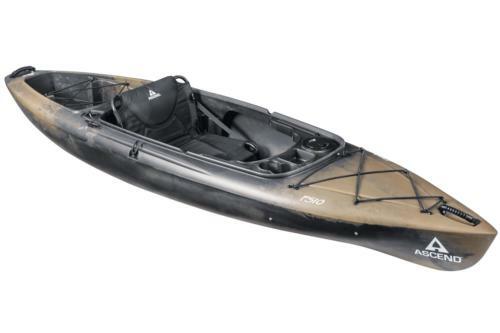 With the new 9R, ASCEND® designers focused on creating the perfect blend of stability and maneuverability in a 9-foot recreational kayak. 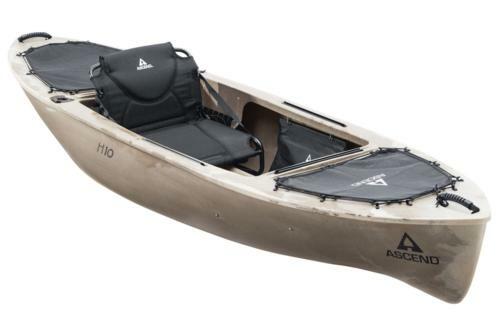 ASCEND® welcomes you to the 10T sit-on-top fishing kayak. 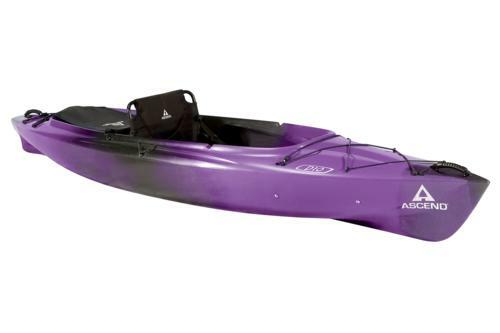 Its unique tunnel hull design results in impressive maneuverability and a stable standing-and-fishing platform. To create the 12T, ASCEND® designers took our most-popular sit-on-top model and redesigned it to be even more stable, functional and comfortable. 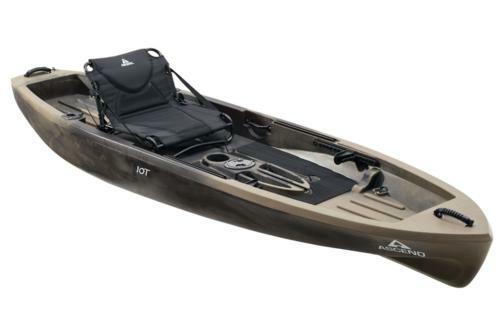 The Yak-Power-equipped 128T takes the hybrid fishing platform design to a whole new level with maximum stability, open deck access, easy customization options and a number of great fishing and comfort features. Copyright © 2019, White River Marine Group. All Rights Reserved. * Prices, specifications, and features are subject to change without notice. Photos may show optional equipment. All prices are stated in US Dollars. See your dealer for details.